It’s been around forever, but the snare roll is still a dancefloor-devastating way to lead out of the breakdown and back into the beat. 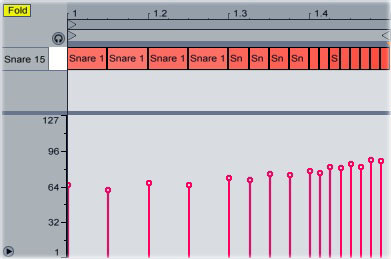 If your snare roll sounds too robotic and programmed, use MIDI velocity control to make it sound more natural. 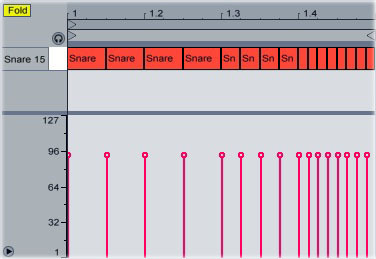 This velocity increase over the course of the snare roll makes it sound like it’s building up to something, and changing the velocities of alternate notes makes it sound more like a live drummer and less like a machine.